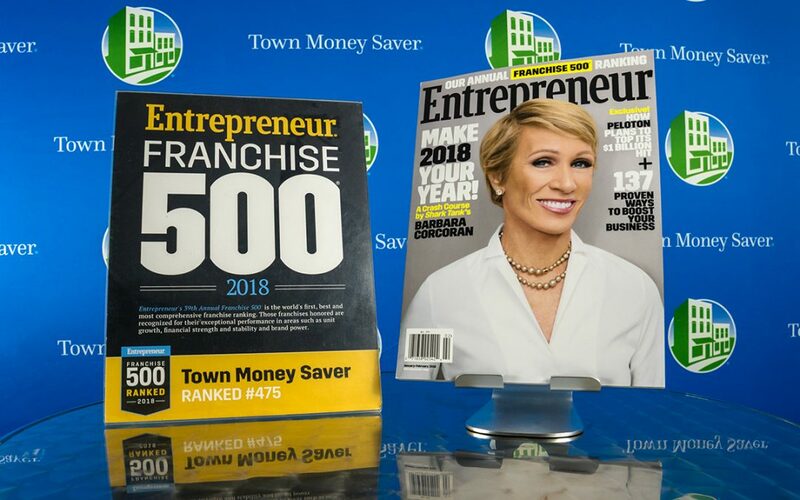 Town Money Saver recently was ranked in Entrepreneur magazine’s Franchise 500, the world’s “first, best and most comprehensive” franchise ranking. Recognized as an invaluable resource for potential franchisees, the Franchise 500 ranks Town Money Saver as 475 for its outstanding performance in areas including unit growth, financial strength and stability, and brand power. TMS is a direct-mail publication that focuses on “easy and effective” advertising solutions for hometown businesses. Operating in its 26th year, TMS currently serves more than 150 communities in the Midwest with a monthly circulation of 2.2 million. In addition to being included in Entrepreneur’s Franchise 500, Town Money Saver recently was recognized as a top franchise opportunity for 2018 and a top 100 franchise system for veterans by Franchise Business Review. TMS’s Performance Awarded Franchise Opportunity is a system that gives prospective franchisees the ability to earn a franchise without fees. To view Town Money Saver in the full ranking, visit entrepreneur.com. Results can also be seen in the January/February issue of Entrepreneur, available on newsstands January 16th. For information about a Town Money Saver franchise opportunity, call 800-481-8696 or visit tmsfranchising.com.